Anna is dying. She is a slip of a girl, married to a fabulous husband that she really loves. She used to be a ballerina, she used to like roller coasters and ice cream and she used to eat. All those things are in her past. Now she spends her days exercising and not eating. She has dropped dairy, meat, bread and almost everything else from her diet with the exception of apples and popcorn. She will die if she continues to deprive her body of the nutrients it needs. No matter what her family and husband say or do, they cannot convince her to eat. Her last chance to begin living again is moving to 17 Swann Street with the rules and the meals and the other skeletal girls. These women there are mothers, daughters and dying from lack of food in a country where food is abundant. Each of the women has their own stories and reasons. Some have had traumatic events in their past, others have been pressured by society and careers that they need to be thinner until food becomes the enemy. But when the enemy lurks within it is invisible but continues to whisper in your head over every morsel of food. Almost everyone has heard of anorexia nervosa and bulimia. They are illnesses like any other. While hard for some to understand, there are many underlying psychological factors that come into play when someone decides to starve themselves into skeletal bodies and deprive their organs of much needed nutrition to survive. Zgheib pulls the reader into 17 Swann Street. We are there for the triumphs when Anna begins to slowly eat meals again. We are there when one of the girls is taken to the hospital and does not return. It is easy to feel the pain that food causes them, but that makes their triumphs all the sweeter. 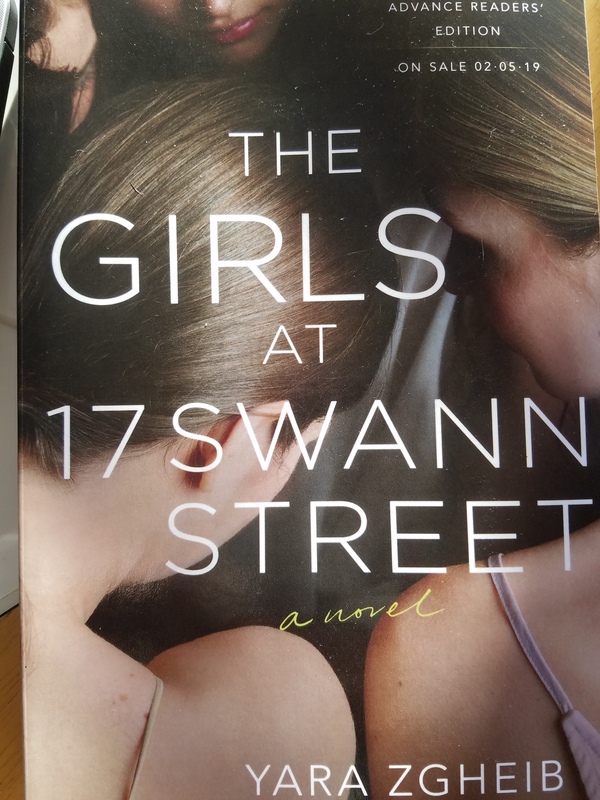 The Girls at 17 Swann Street is written in a style that does not use extra words. That being said the story is full of depth and meaning. The conversations are in italics to differentiate but even without them it would be easy to know when the characters are speaking. It is appropriate to write in this style to tell the story of Anna and her friends. They have cut out all things involving food that they deem unnecessary in their lives, just as Zgheib cuts out the words that would not have helped tell their story. This is the first book written by Yara Zgheib. I sincerely hope it is not her last. Her powerful prose kept me reading late into the night and often brought me to tears when I felt Anna was giving up hope. This book is powerful and insightful. It would be perfect for your book club as the seriousness of these diseases calls for more discussion. Even though it is fiction, Zgheib has opened the door into the hidden world of anorexia and bulimia, allowing you to step through that door with Anna and hear her story.